Two cottages set in picturesque garden complete with patio and stream. Laburnum Cottage is ideally situated in the village of Broadway near the 11th century Norman Church. 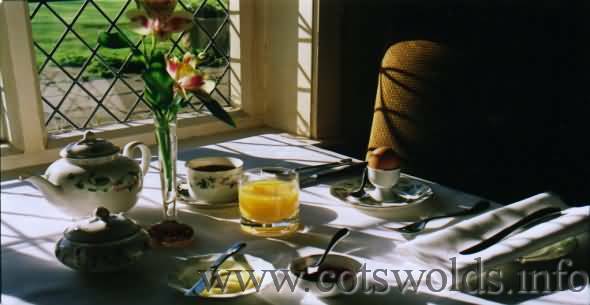 Find your ideal Cotswold accommodation in friendly Hotels, Bed and Breakfasts, homely Guest Houses, cosy Cottages, congenial country Pubs and Inns, luxurious Country House Hotels and Caravan and Camping sites. If you want to fend for yourself there are many charming self-catering vacation rental Cotswold cottages or you may want to enjoy the outdoor life at one of the regions caravan or camping sites. If you really want to feel involved with rural life then why not stay on a Cotswold farm and enjoy a rural atmosphere with traditional farmhouse cooking. The accommodations listed are ideal for weekend breaks or for the longer holiday. Most of the establishments listed have been officially rated and assessed to ensure your comfort and well being. Voted the 'Most Beautifully Presented' B&B in the UK at the prestigious eviivo Awards. for the Abbot of Pershore. and tranquility with glorious, unrestricted views out over the Cotswold hills. 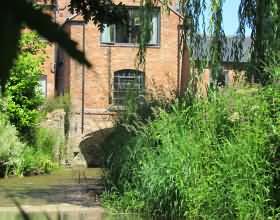 Situated in a perfect riverside location between Stratford-on-Avon and the Cotswolds Tredington Mill welcomed its first visitors in August 2010. The past four years have been busy and fun with visitors from near and far. Repeat guests enjoy the peace and tranquillity and say it is the perfect antidote to a week in town. We enjoy 4 stars from English Heritage, but aim to keep our prices affordable.